We are all guilty of reacting to first-aid situations in ways that our Grandma did it – like putting butter on a burn. You can probably think of several of those “old wives tales” that are now known to be BAD IDEAS. But how do we learn the right way, if we don’t have updated instruction? One of the most valuable services we provide at TSS, is our regularly scheduled CPR and First Aid training. We often say that we are in the business of saving lives and with our focus on Summer Safety, we cannot put enough emphasis on how vital these trainings are for everyone. 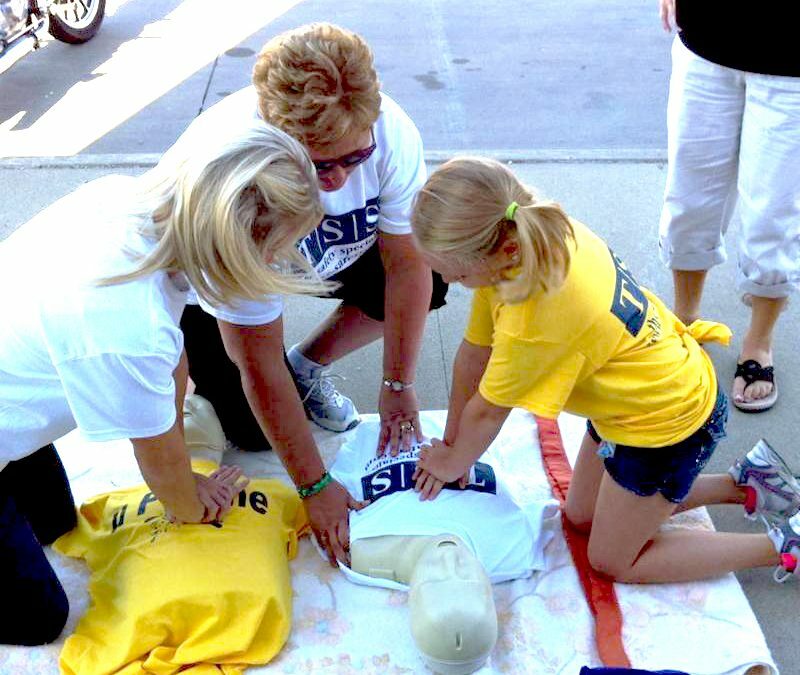 While taking these classes may be a requirement for some supervisors in their roles at work, we find the best results occur when the entire team has training on basic first aid techniques and life-saving CPR methods. Why is it important for your entire team to know CPR? First of all, no one can ever guarantee that the trained person will be present when an incident occurs. Accidents and injuries strike when we least expect them, they happen quickly and they can become moments that quickly spiral out-of-control IF calm is not restored and maintained as soon as possible. Secondly, our instructors cannot tell you how many times our participants tell us they learned basic skills they did not previously know or had learned WRONG INFORMATION and are grateful they now know how to provide PROPER responses! Thirdly, are we thinking outside the box? Are the teens and young people in your life trained in the basic skills if a situation arises at home, work or school when adults are unable to respond quickly? Maybe the young people you meet are among your customers base. Is everyone responsible for the care of the young people you encounter clear on the techniques for infant and child CPR? The list of good reasons to have updated and expert training are endless … but always remember that TSS provides hands-on, engaging classes that are interesting, fun and engaging! We have pre-scheduled classes on-going in our Ketchikan location and can schedule to suit your needs at our other locations as well.